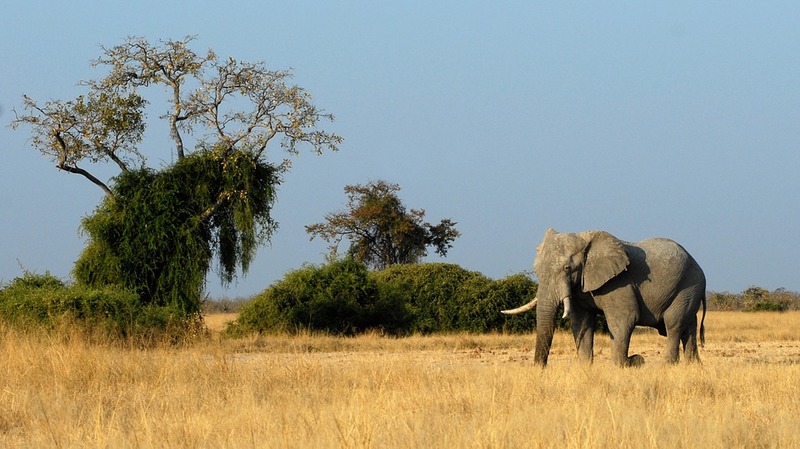 Botswana is a landlocked country renowned for its scenic landscapes and wilderness experiences. Besides being a natural beauty, it’s also one of the most politically stable countries on the African continent. A number of popular travel bloggers have put Botswana on top of the must-see destinations on the continent for value-for-money safari vacations. Here are just a few of the attractions that should be on your bucket list itinerary for Botswana for a memorable trip. Safari lovers should definitely add Chobe National Park to their list. The park is home to elephants, lions, rhinos, buffalos, and leopards, and it has one of the largest concentrations of game in all of the continent. Visitors can choose between a traditional land safari and a river cruise but it’s always best to try both options. Taking a river cruise also allows you to see crocodiles and birdlife as well as buffalos and elephants bathing in the Chobe River. Botswana is also home to one of the largest salt flats in the world. The great Makgadikgadi Pans offer some of the most amazing landscapes in Botswana which can be enjoyed by taking a 4x4 or an ATV through the pans. Visitors can even set up an overnight stay and can spend the night looking at shooting starts while warming up next to the campfire. This piece of preserved history and tradition is the ideal way to experience the country’s local culture. Visitors of the Bahurutshe Cultural Lodge will get to stay in thatched rondavels and experience traditional living. You’ll also be served local dishes such as seswaa, maize meal, and wild chicken, and get to enjoy dance performances and live traditional music. Sand acacias, sand dunes, apple leafs, and grasslands are some of the natural elements that make the Central Kalahari Game Reserve a must-go-to spot in Botswana. In fact, the Kalahari Desert seems to hold the largest volume of sand in the world. The Central Kalahari Game Reserve is also the second largest wildlife reserve on Earth. Visitors will get up close to zebras, lions, wildebeest, red hartebeest, and many other animals that roam free in this unique environment. The Khama Rhino Sanctuary is home to both black and white rhinos. It is a community-based project that benefits the local people and wildlife as it’s a form of sustainable tourism. This is also the best place to see rhinos as they are quite a rare sight today. It is estimated that there are less than 30,000 rhinos left in the whole world and the numbers may continue to drop. This is why visitors are encouraged to visit the Khama Rhino Sanctuary and show appreciation. Besides rhinos, there are also over 30 other species of animals and an abundant birdlife. The sanctuary even has a pool to cool off so don’t forget your swimsuit!